From their 1 and only tour while they were together originally, comes this recording of Yazoo with the full and complete set from their gig at The Dominion with the instrumental, "Chinese Detectives" restored into the set after "Midnight". Slightly lesser sound quality than the rest of the gig but better its there I think, than not! This one probably took the most amount of work to restore. I had 2 versions of this - 1 being better quality than the other, but the poor quality one had more tracks in it! And the better quality one was actually at the wrong speed! 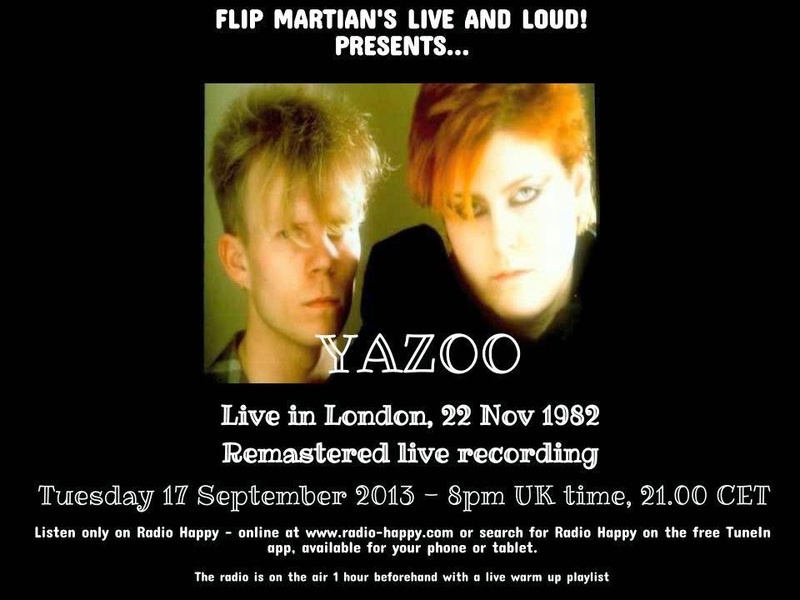 Anyway, all that work means Yazoo fans finally get a complete gig in decent sound quality. Its turned out pretty well and I think sounds far better than the originals I worked from. I hope you enjoy it. Always worth hearing Alison Moyet's fabulous voice. Thanks for the douwnload.